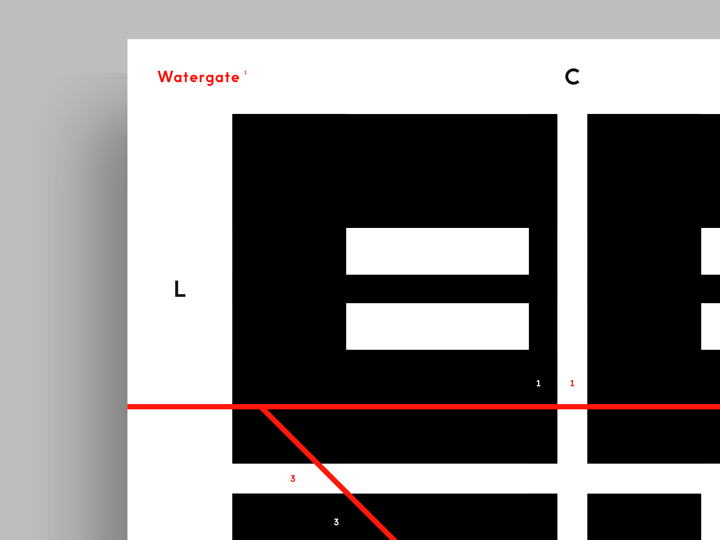 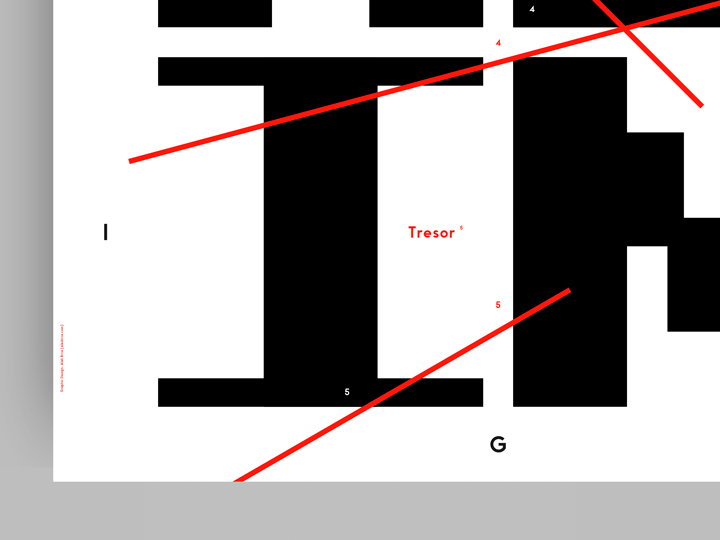 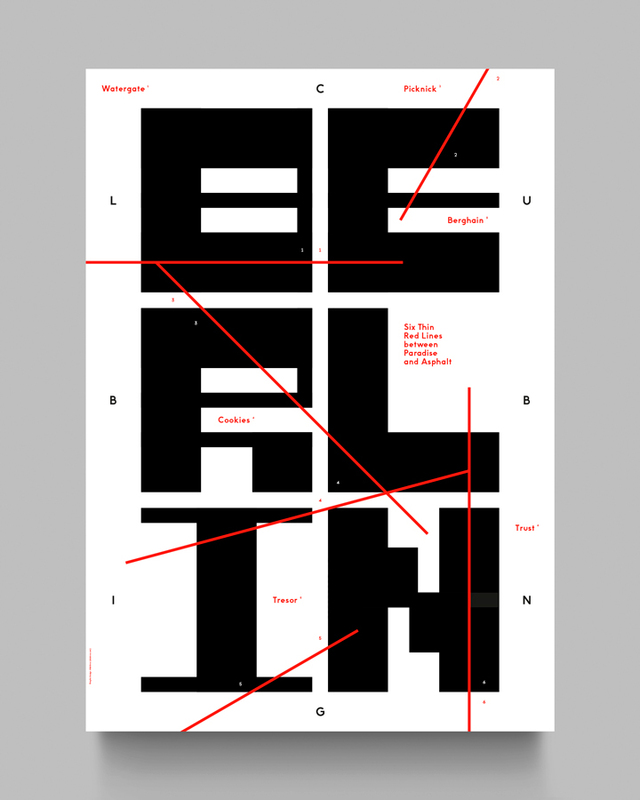 Show Us Your Type is a project about two things I adore, typography and cities. 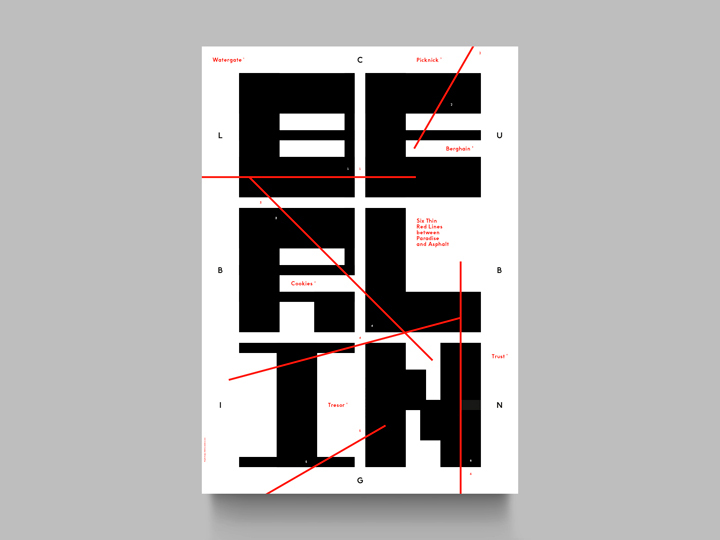 The Show Us Your Type project provides a creative platform for designers to share their talents and explore cities from a different — typographic — perspective. 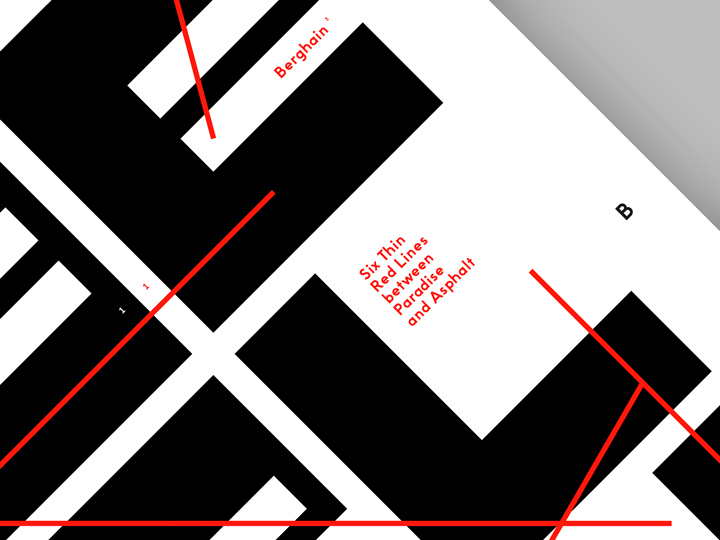 The poster I designed for the city of Berlin is titled ‘Six Thin Red Lines Between Paradise And Asphalt’ and tries to depict graphically the ‘clubbing movement and movings’ in the in the German capital, known for its night clubs of the highest quality, fame and thickness. 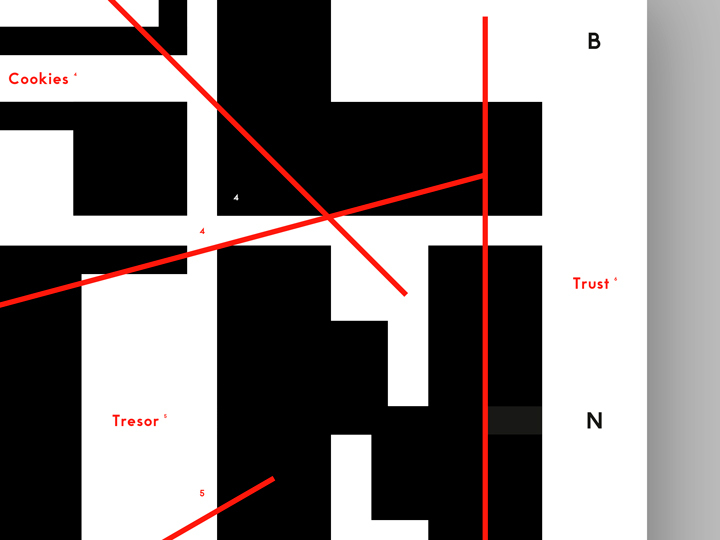 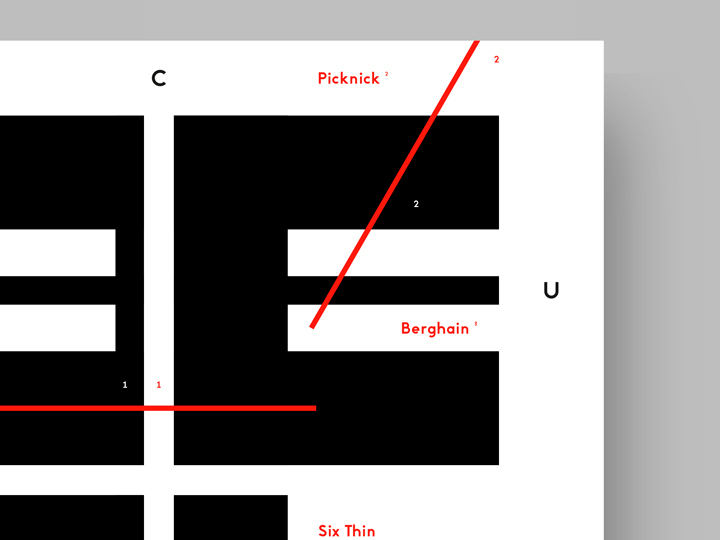 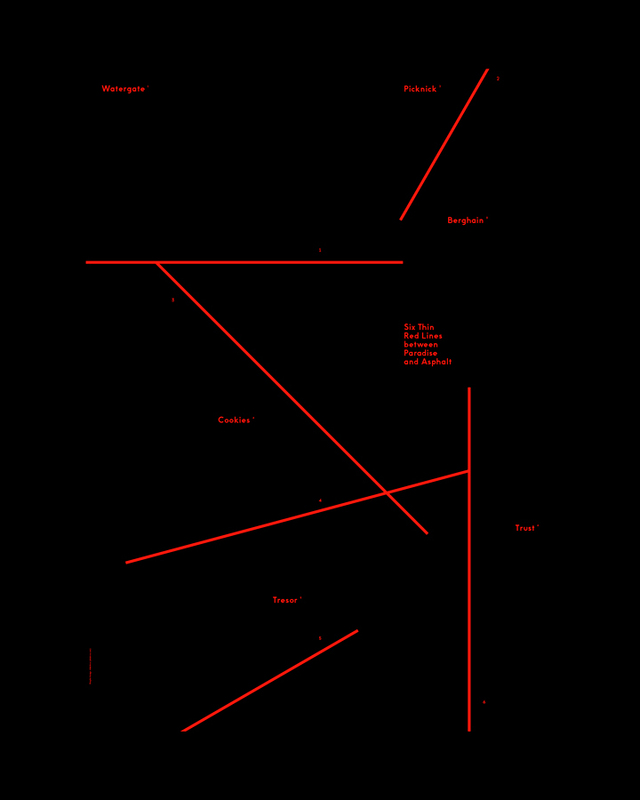 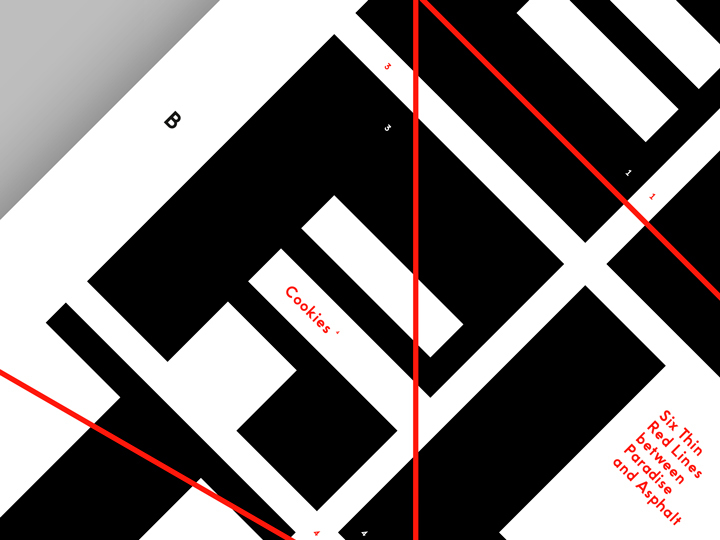 Six red lines represent here — on a 70 x 100 cm paper sheet — the streets of the city; six little numbers represent the positions where there are located six of the major night clubs in Berlin. 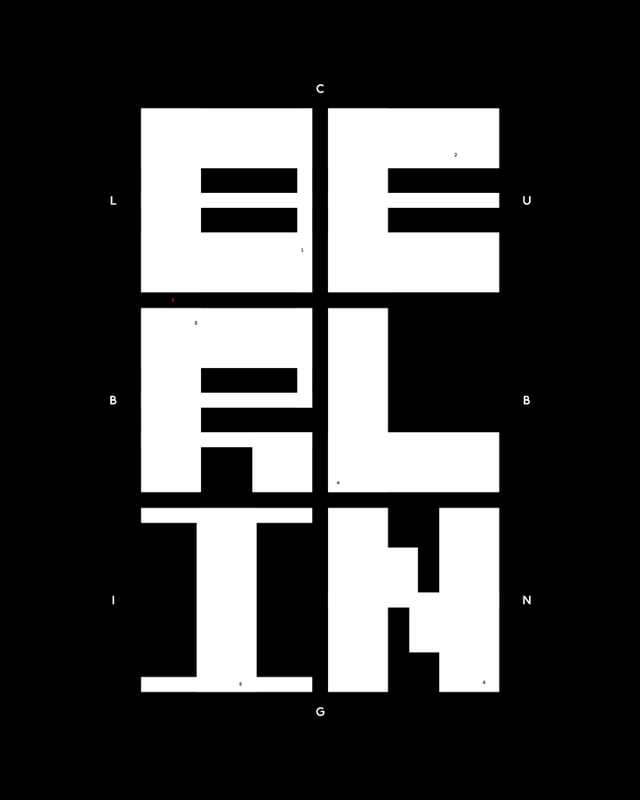 A kind of path outlined in the Berlin nightlife, placed over six huge geometric squared letterforms that compose the city’s name.